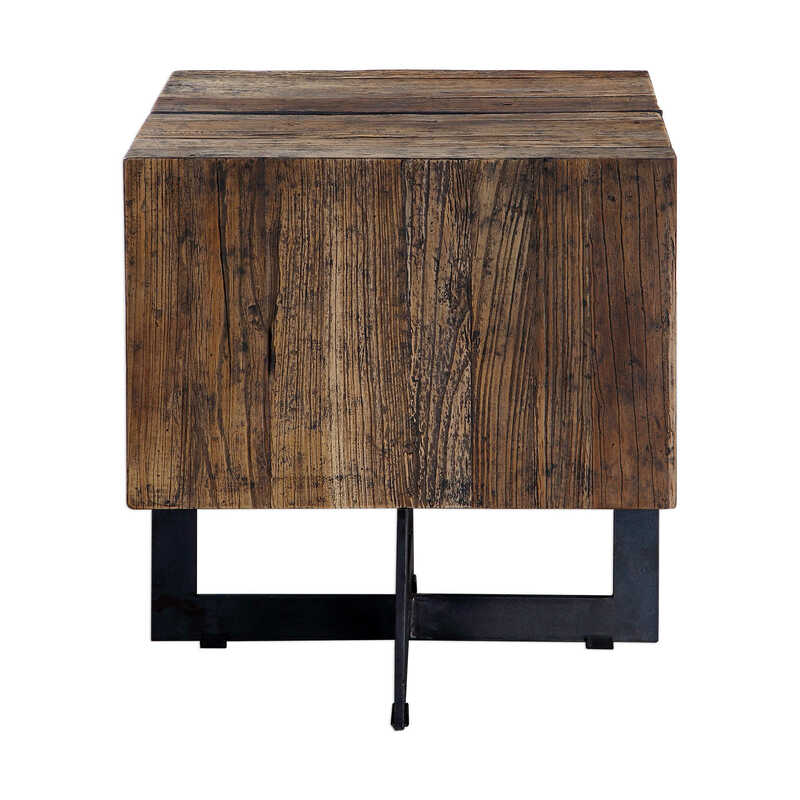 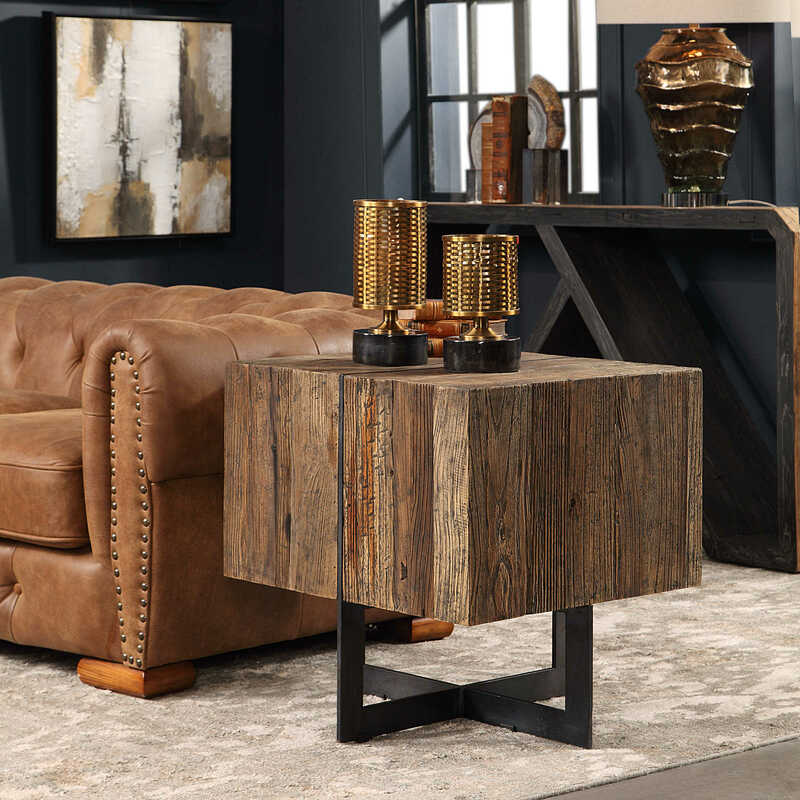 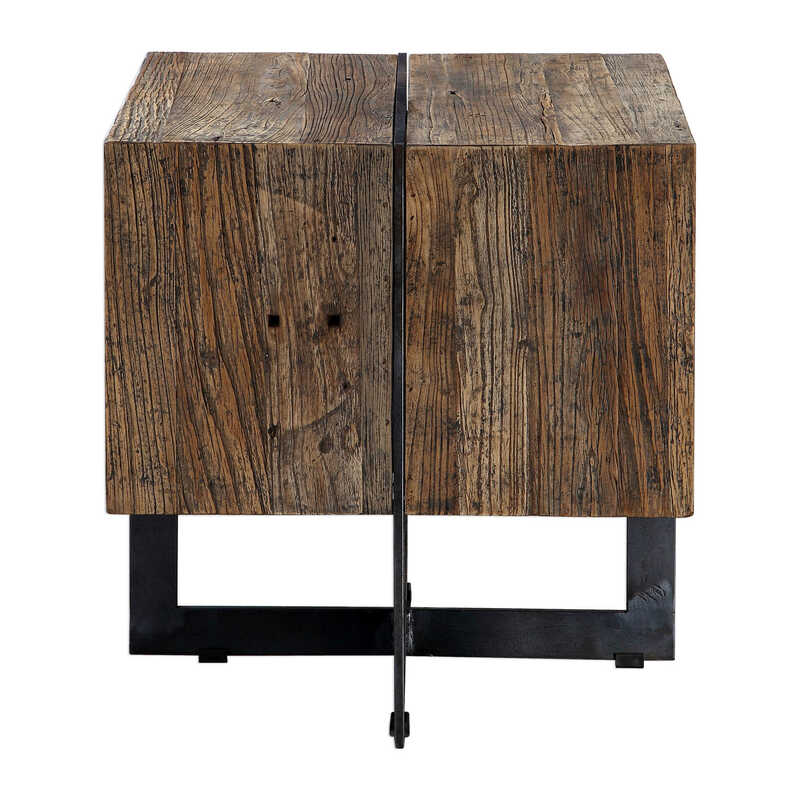 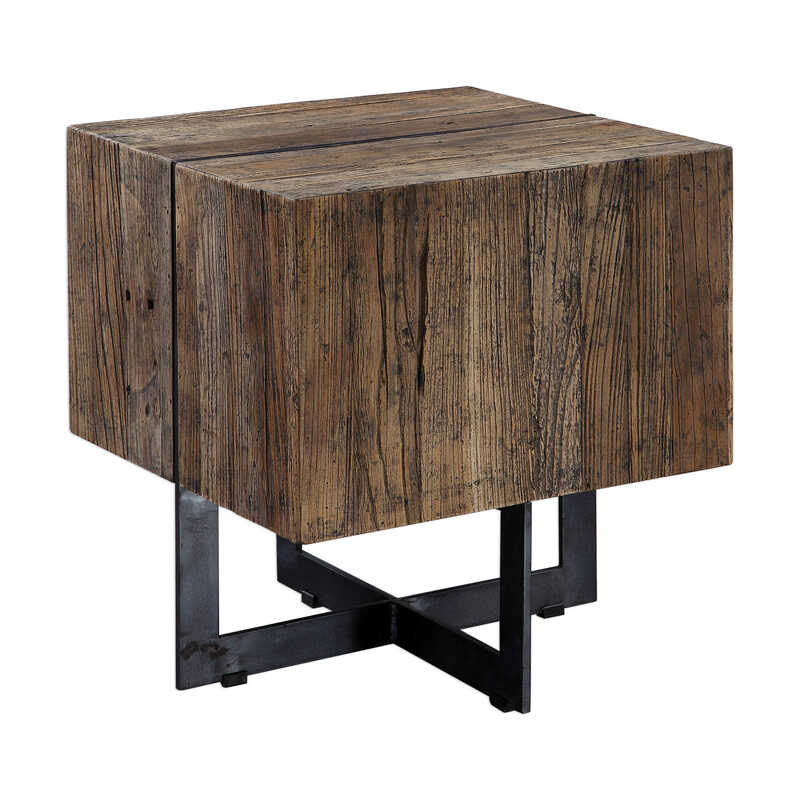 Featuring deeply grained reclaimed elm wood, this character rich end table has natural cracks and distressing, showcasing the unique history of each board. 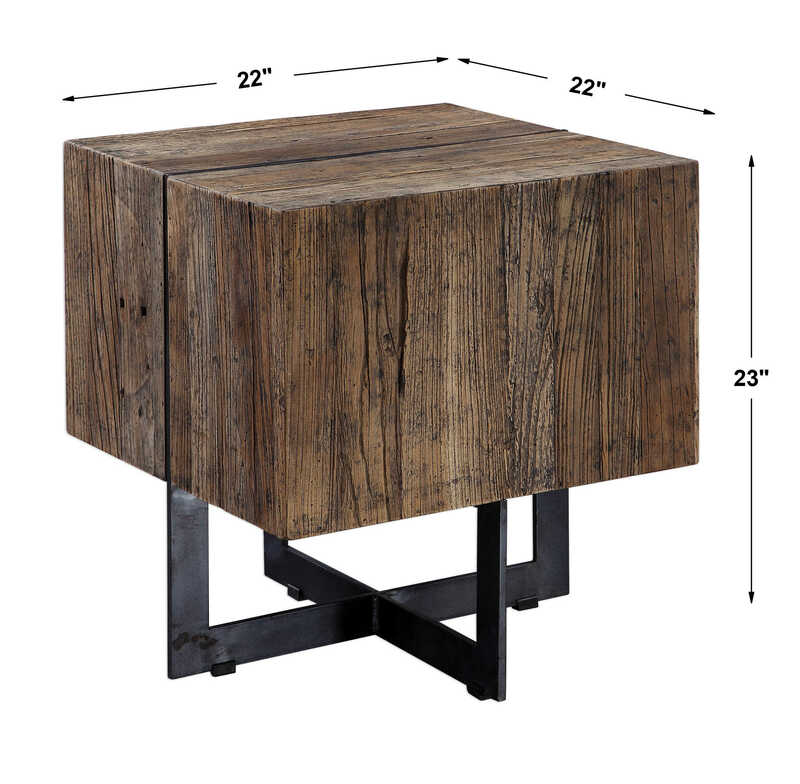 Accented with solid iron industrial supports finished in aged black. 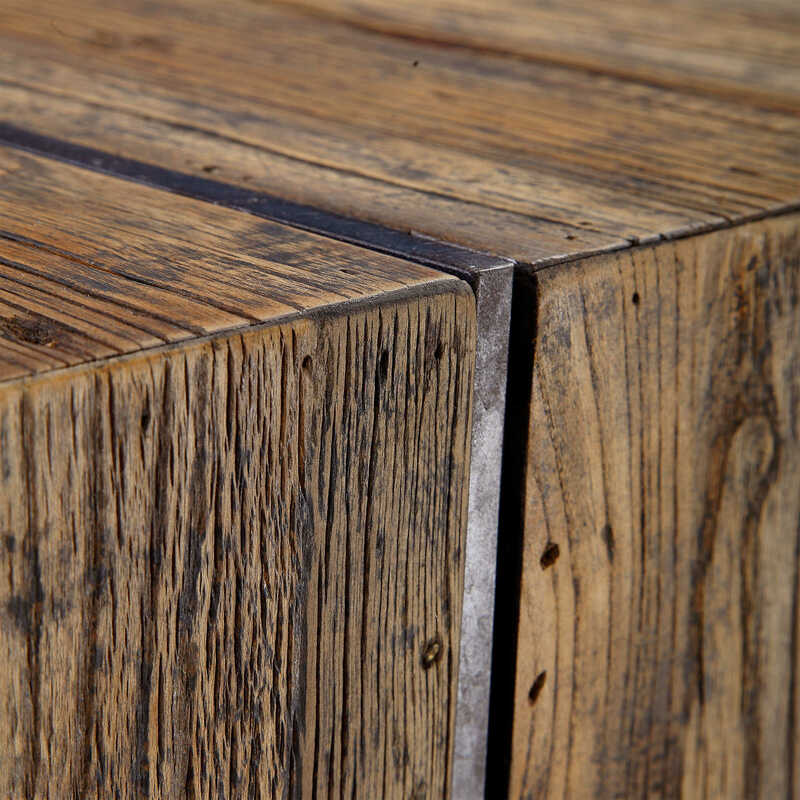 Solid wood will continue to move with temperature and humidity changes, which can result in small cracks and uneven surfaces, adding to its authenticity and character.